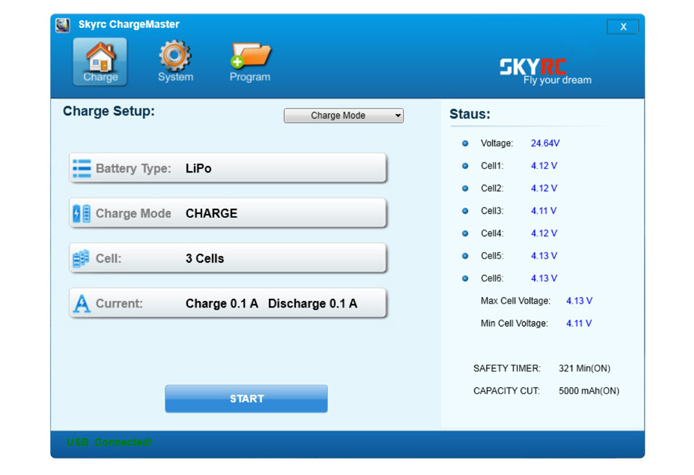 The free "Charge Master" software gives user unparalleled ability to operate the charger through the computer. The user can monitor pack voltage, cell voltage and other data during the charging, view charge date in realtime graphs, and can also control charging and update firmware from "Charge Master". •Microprocessor controlled •PC control software"Charge Master"